Written by webb valarezo on Tuesday, July 12th, 2016 at 9:00am. Toad the Wet Sprocket and Rusted Root played to a packed Observatory North Park last Friday night. Both acts are known best for their ’90s work, but don’t be fooled: each of these bands still produces some fantastic work that is just as vital now as it was back then. 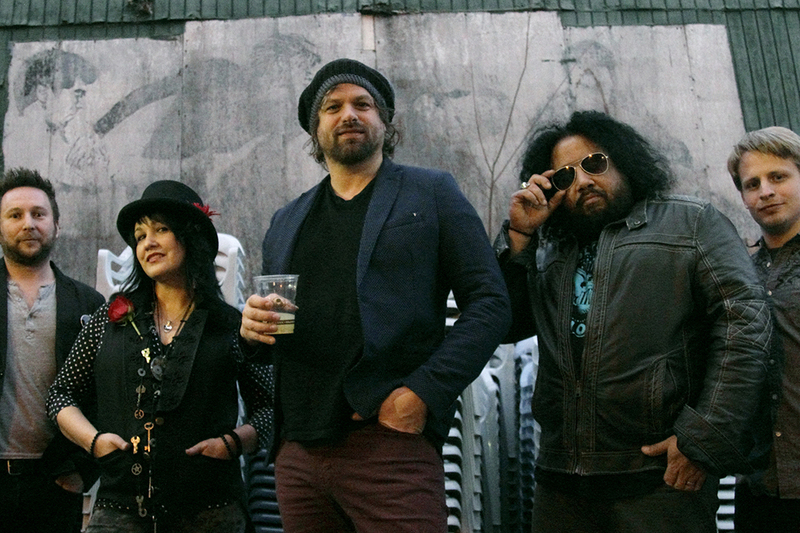 Rusted Root opened with a set of funky, spiritual music spanning their rich 20-year catalog. Their sound is a dynamic one, and the musicians on stage all seemed like very present and happy people. Rusted Root’s music is less about entertainment and more about conveying a message of one-ness; they envision a world evolved beyond judgment and violence. Instead of taking a passive role in this process, they see themselves as helping, through their music, to get us where we need to be. Their most recent album, The Movement, is a testament to the concept that Rusted Root isn’t just a band, but a growing community of like-minded people all striving for the same thing: peace. This message is conveyed through their unique brand of jam-heavy rock that draws its sounds from the percussion-oriented influences of music coming out of Africa, the Middle East, and Latin America. Between the tribal beats and swirling guitars, their aim is to transport you to another plane. This is exactly what they spent their set doing, and for the most part, those in attendance seemed happy to be a long for the ride. I can’t imagine that Toad the Wet Sprocket often get the chance to have a band like Rusted Root warm up their audience. It must have been a nice feeling playing to a crowd who was already in a good headspace for being moved. Toad took full advantage of the good vibes by opening with the fan favorite “Fly From Heaven” from their 1994 album, Dulcinea. In typical Toad fashion, the songs pretty sound was underlined by some very dark lyrics like, “They took my brother, they raped him from me, to twist his words as they did his body.” It’s the sort of song that ends in such a nice space where all the sounds come together into a groove you just don’t want to end. Maybe Toad will take a cue from Rusted Root and start extending their songs a little more during live performances; it would suite their sound well. This tour for Toad the Wet Sprocket is mostly comprised of shows celebrating the 25th anniversary of their breakthrough album Fear which, aside from the dates they’re with Rusted Root, will be played in its entirety from start to finish. This exclusion must have been a disappointment to the diehard fans of that classic album in attendance. But as Toad got further into their set (not even touching on anything from Fear until the fifth song), that disappointment was trumped by the joy of seeing them play a carefully curated set of songs they wanted to play. As much as it would have been a treat hearing them play Fear from front to back, it was even better seeing them as a band not looking back on the last 25 years, but looking forward to the next 25. Toad the Wet Sprocket Conquer Their "Fear"
I’m seeing this show next month – your review was a nice preview of what I’ll be seeing. Thanks! Good article. Although I think it’s “ripped him from me”.